I am now into my 3rd week as a vermicomposter and I am already an addict. There is something uniquely satisfying about feeding kitchen scraps and shredded paper to an industrious nest of earthworms and seeing that waste turned into gardening gold in a matter of days. I’ve been daydreaming lately about how I plan to use my worm poop aka worm castings and thought I would share a few of my favorite ways to use worm poop! Side dress garden plants by adding worm castings directly to the soil around the plant base and working it lightly into the upper 1-2” of soil. Make an incredible worm compost tea by placing fresh castings in an old stocking or a few layers of cheesecloth and tying securely. Use this contraption like a tea bag and make up to 5 gallons of nutrient-rich worm poop tea that is a great way to add water and beneficial nutrients at the same time. 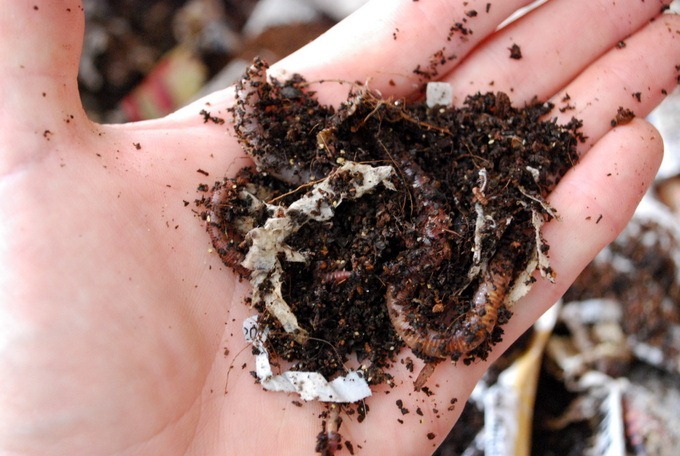 Add worm poop to your container mix and watch your potted plants take off. It doesn’t take much, a little goes a very long way. The most important way to use your worm poop is to use it quickly! The fresher the worm castings, the more beneficial they can be to the life of the soil to which they are being added. Even a small amount of castings can give a tremendous boost to garden soil or to houseplants that need a refresher. Don’t have a worm composter yet? 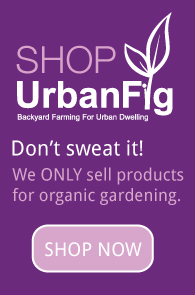 Get one in the UrbanFig shop and enjoy the benefits of worm poop compost all year long!